Hampton Court House is a stunning Georgian mansion set within nine acres of enchanting 18th Century gardens. With unique architectural features and superbly well-maintained rooms the house makes for a beautiful venue for ceremonies and wedding receptions. Hampton Court House is 15 miles from Heathrow and 11 miles from the centre of London. The nearest station is Hampton Court which has direct trains from London Waterloo. The house also has plenty of parking. Completed in 1757, the house was once described as ‘an elegant and recherché mansion, suitable for a wealthy merchant Prince’. Today the house boasts a stunning main hall, conservatory, theatre, dining room and a plethora of exquisitely decorated private rooms. They can hold civil ceremonies for up to 150 guests so you can choose to have the whole day and they don’t charge any corkage so you can bring in your own drinks. 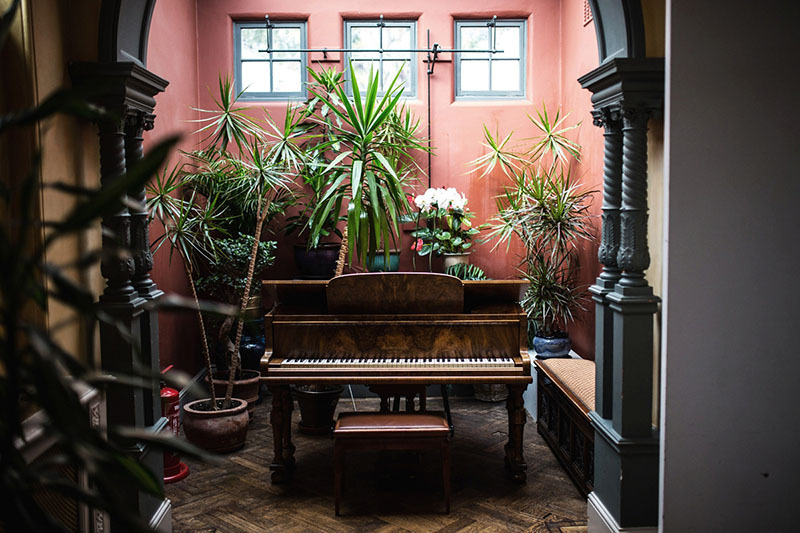 The house is well looked after and there are a variety of rooms on offer to you and your guests, each with their own character and quirks and fitted with beautiful antique furniture. 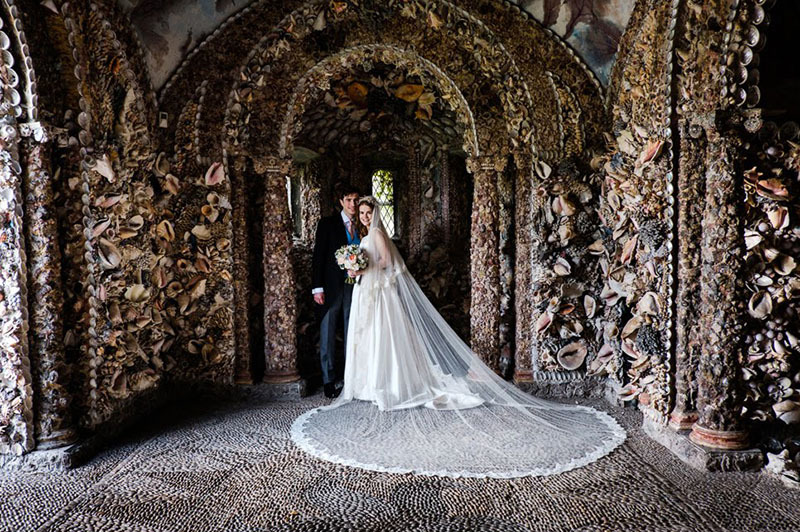 The beautifully romantic gardens are complete with magnificent features, including a winter garden with palm trees, a heart shaped lake and an enchanting shell lined grotto. Their friendly approach and flexible attitude gives you the freedom to make your special day one to remember for all the right reasons! If you’re looking to plan your wedding in less than 3 months contact the team to make the most of their late bookings rate. 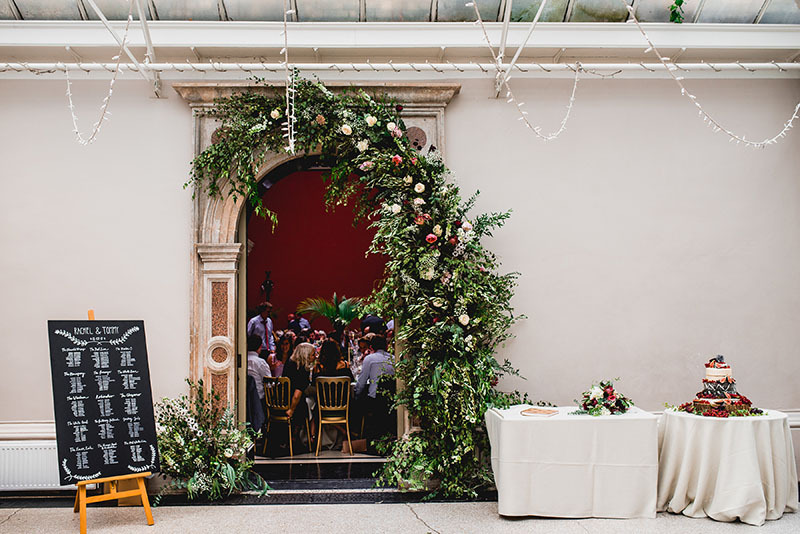 We had visited the gorgeous house and gardens on many occasions in the planning of the reception, but even so I was taken aback on the day by its breathtaking beauty as the rooms were filled with the laughter and joy of the occasion. The house truly came to life and provided such a happy backdrop for the wedding celebration. 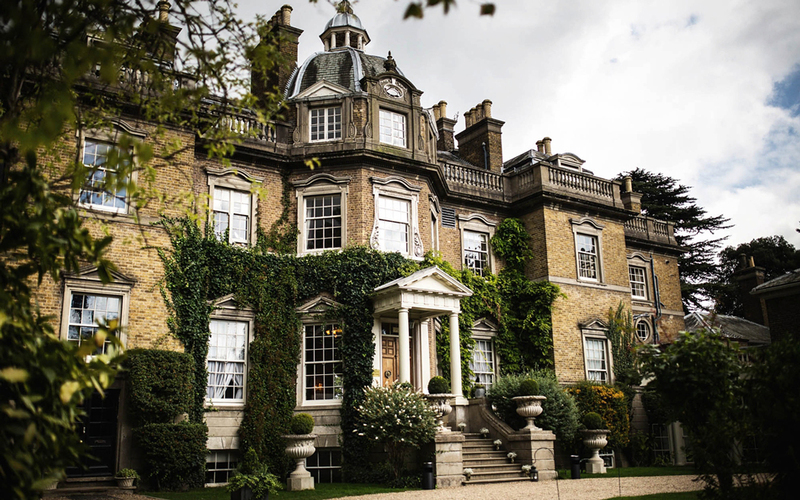 Our guests were full of admiration for the elegant and inviting exterior, the wonderful drawing room with the views through the windows over Bushy Park, and then along the long walk along the corridor they were filled with anticipation and the delightful conservatory appeared. Our guests were utterly captivated by the magical setting. Just to say thank you to you and the team at Hampton Court House for providing such a magnificent venue for our wedding on Sunday. 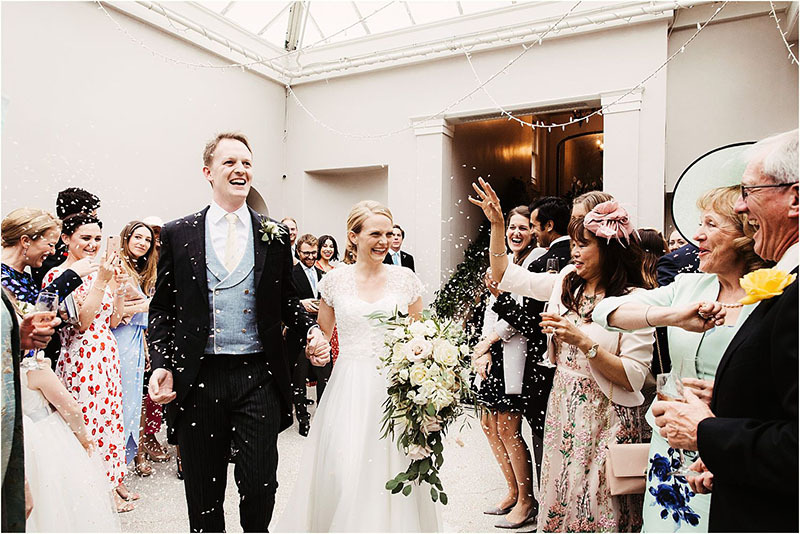 You would not believe how many of our guests asked how we found Hampton Court House and their comments that the house is so stylish and suited to being a wedding venue. I have to say also that we were blessed with the weather over the weekend! Hampton Court House was a beautiful setting for our Surrey wedding. It has tons of character, but also the flexibility to add your own touches to make it individual to you. 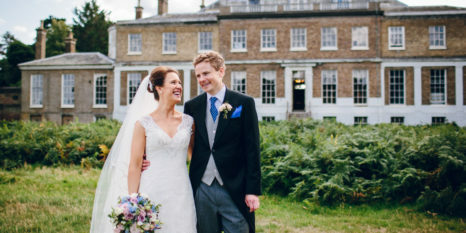 Our wedding ceremony took place in the main room which backs on to Bushy Park. In the evening, we had our wedding breakfast in the Ballroom, and a bar and disco in the Conservatory - all were ideal. Everything on the day was perfect and all the staff went above and beyond to provide assistance during the planning stages and on the day itself. 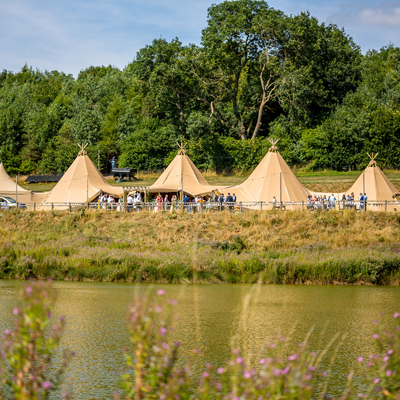 We would thoroughly recommend this as a wedding venue to anyone considering it. From start to finish our whole experience at Hampton Court House was fantastic. 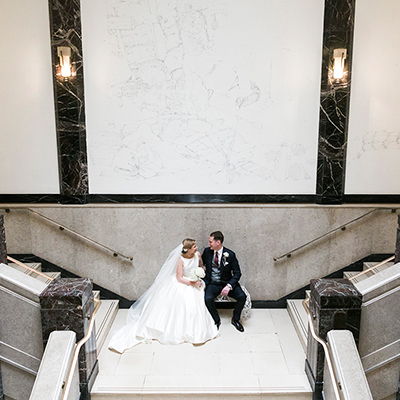 When we were looking for a wedding venue in surrey we really struggled to find somewhere that had everything we wanted, until we found Hampton Court House. The day ran beautifully - the grounds tell a story themselves. My favourite part was walking into the main hall in the evening to have a break from dancing, the candles flickering on the candelabras and the twinkling lights of the olive trees we had put on the stage bought a tear to my eye - it was a magical experience and couldn't have been more perfect!